Two Guys, Three Rivers, and Some Turtles. 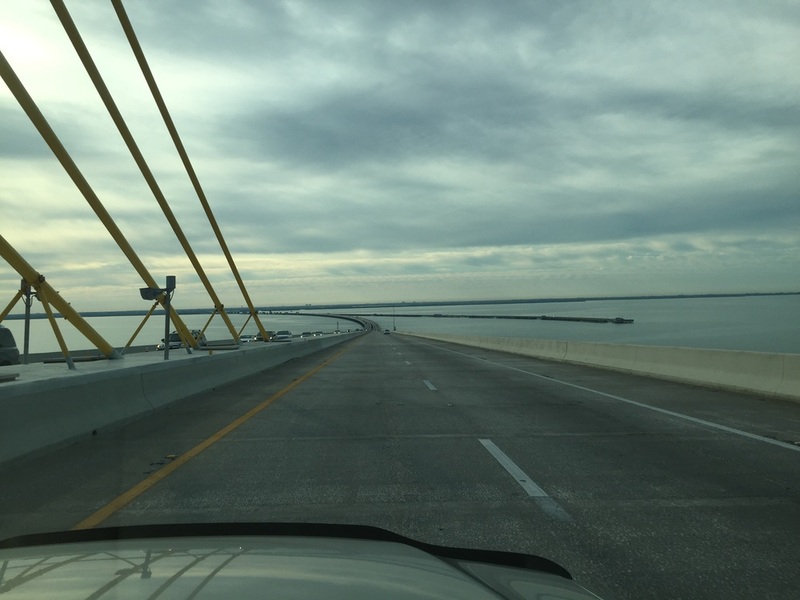 Early morning drive over the Sunshine Skyway bridge, Tampa Bay, Florida. 8:00am - As a continuation of fieldwork last summer, my research partner, George L. Heinrich, and I are once again surveying Florida rivers for the Suwannee cooter, Pseudemys concinna suwanniensis. We will be boating via kayak and power boat to survey for the presence of our target species in the Anclote, Little Manatee, and Manatee rivers. The Anclote falls within a gap in the species' range and the other two are south of its known distribution. Range of the Suwannee cooter within Florida. The species is restricted to rivers. 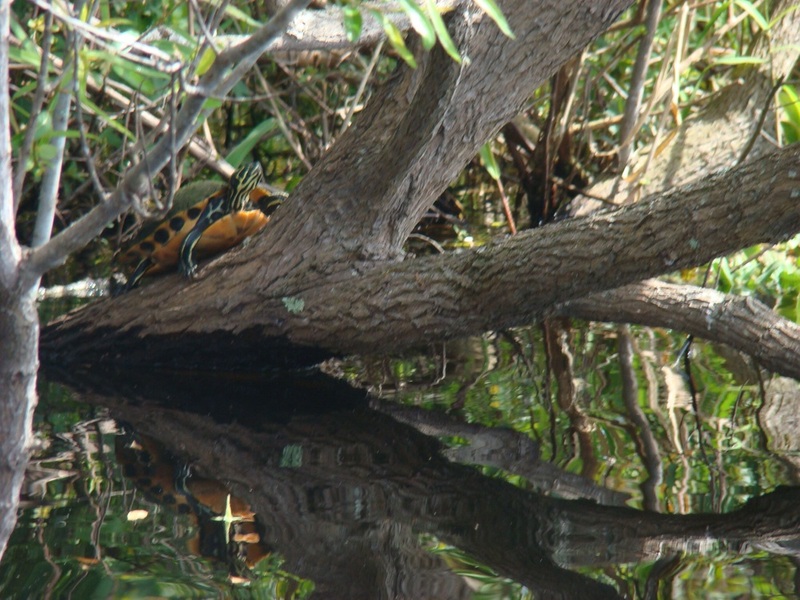 This is a joint project between the Florida Turtle Conservation Trust and the Bruce Museum. As with last year, I will be updating the blog from the field. Please check back throughout the day and week to see how the project is progressing. 10:00m - We have traveled as far as possible up the Manatee River. The river channel is only about 20 feet wide and trees are now blocking the path. We just spotted the first turtle, a juvenile Florida redbelly cooter (Pseudemys nelsoni). The sun is now out and warming so turtles may be starting to bask. We are going to walk the shoreline for a bit before turning back. The upper Manatee River becomes very narrow and eventually impassable via boat. Good basking areas for turtles along the river. 11:15am - We pull the boat into a small oxbow and see a few peninsula cooters basking in aquatic vegetation mats and swimming in open water. We also were lucky enough to view two generations of American alligators, including hatchlings from last year. 11:35am - We spot our target species, the Suwannee cooter. This individual now represents the first of its species recorded from the Manatee River and Manatee County. 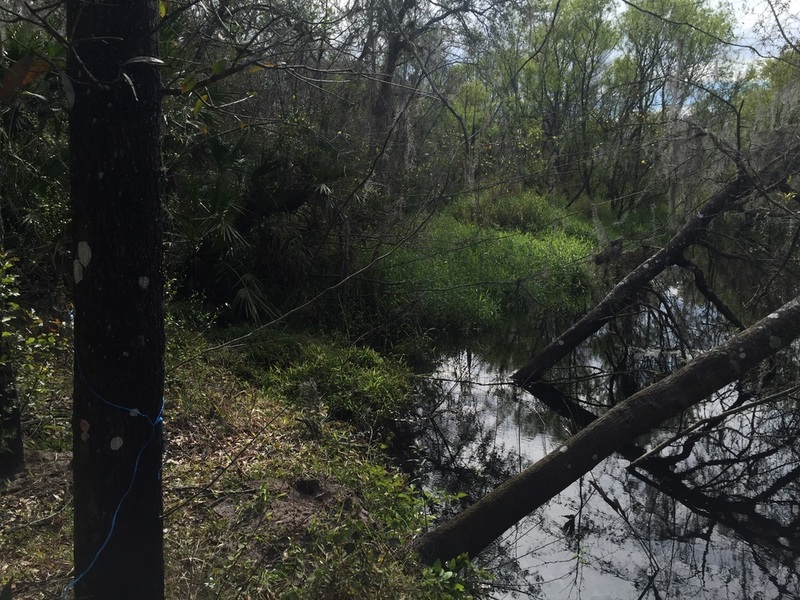 It also represents a range extension for the species as this location is approximately twenty-five miles south of its known southern range, the Alafia River. Our first record of the Suwannee cooter in the Manatee River. Obtaining sharp photos from a moving boat before the turtles dive into the water proves quite challenging. 1:25pm - The turtle gods have been kind to us today; we just spotted the second specimen of Suwannee cooter. This observation confirms the species presence in this river. A Suwannee cooter on the left; again photography is quite challenging under the circumstances. 4:30pm - George and I have just reviewed our photos of the above turtles and confirmed our field identifications. The next step in recording our observations is to email photos to the Florida Museum of Natural History; the herpetology Collection Manager will confirm the species and issue catalog numbers for the voucher photos. After our field work this week we will then submit a geographic distribution note to a peer-reviewed journal so that this important information can be cited in the scientific literature. Please keep checking back with the blog to follow our work on the Suwannee cooter this week.